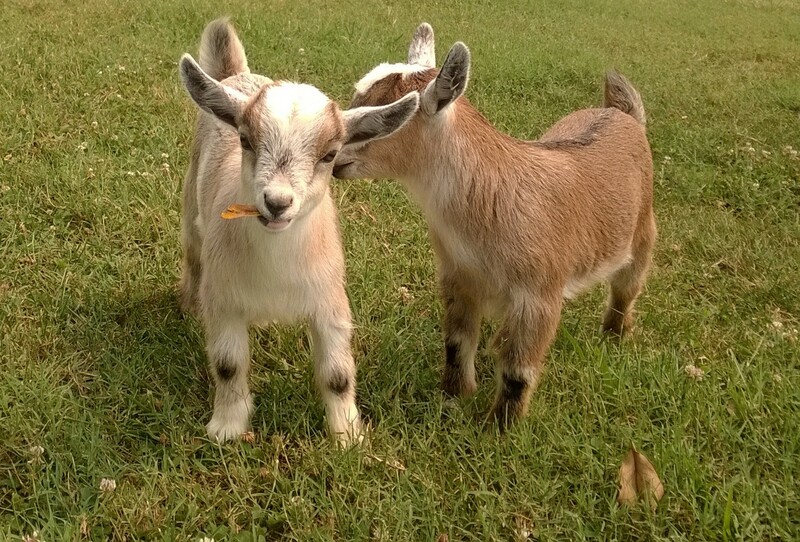 A Dose of Goat Cuteness! – The Pet Shelter,Inc. 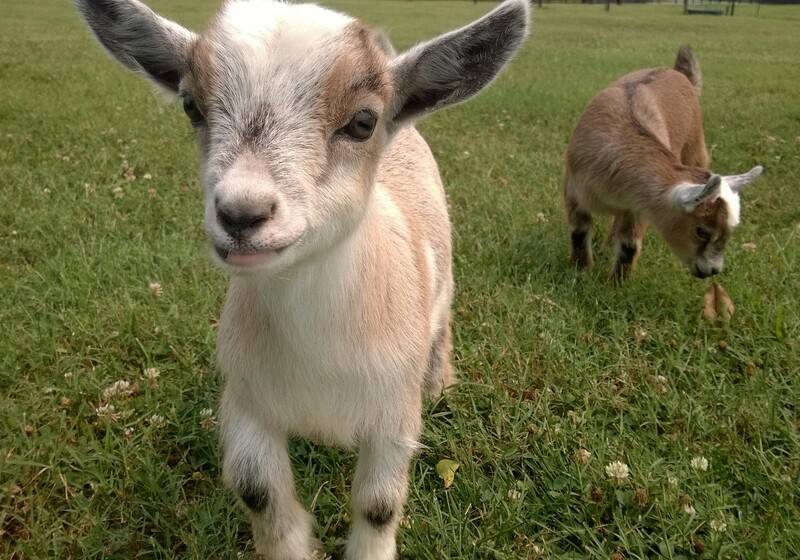 A Dose of Goat Cuteness! 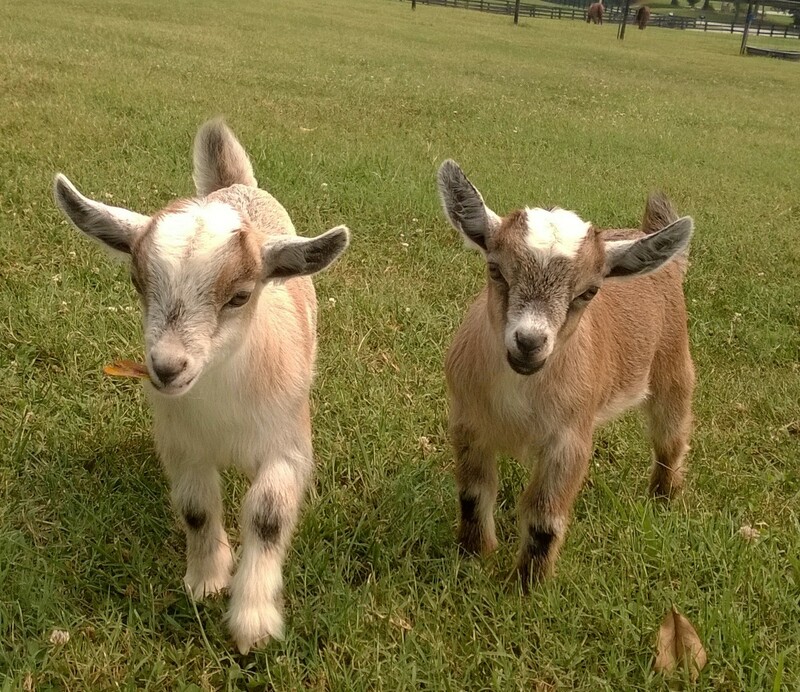 I took these pics of our precious baby goats the other day. Daisy(the lighter one) LOVES the camera. Half the problem with interacting with these cuties is that their mom,Maggie, does not like people; she was quite the victim of neglect. So,she is always shuttling the babies away from us. But,little Daisy here is fascinated with the camera and she is very adventurous,so she is often in the front when I get down to their level for a picture. Daisy notices the camera and wants to come over for a look. She spit out her leaf right after i took this. Previous Article Tiny Clyde Got a Shave! Next Article Just Chillin’ with Dad!